As Halloween is fast approaching my mind quite naturally turns to fear and our strange relationship with it. Personally, growing up I always loved scaring myself half to death by watching horror movies and reading gothic horror fiction. You could argue that I was indeed a strange child! Fast forward several years and it’s fair to say that my reading and viewing habits haven’t changed all that much. Now as an adult and one involved with change work I can appreciate and articulate what the fascination was all those years ago and still it. It’s all to do with confronting and testing myself against the things that frighten and challenge me. I’ve always had a thirst for knowledge and understanding about how the world and I work. I know now to gain that to gain that knowledge and truth we must face our greatest fear; the unknown. So, let us borrow a film title from another genre and explore fear in all it’s aspects. As I’ve outlined in my introduction I believe that working with fear is of enormous benefit to us. In much the same way stress in the right quantity can focus our mind and push us towards our goals fear can make us focus on our future path. Fear can steer us away from what we don’t want by encouraging us to make plans to protect ourselves and drive us forward. For me it’s a fear of a decrepit old age that gets me to exercise regularly and ensure I pay into my pension. Fear also acts as a wonderful reminder that we are truly alive and feeling all there is to feel. It shows that we are pushing ourselves out of the familiar same old same old and becoming explorers of ourselves and the great big world that’s out there. It’s only through challenging our norms, limiting habits, routines and beliefs can we truly grow. 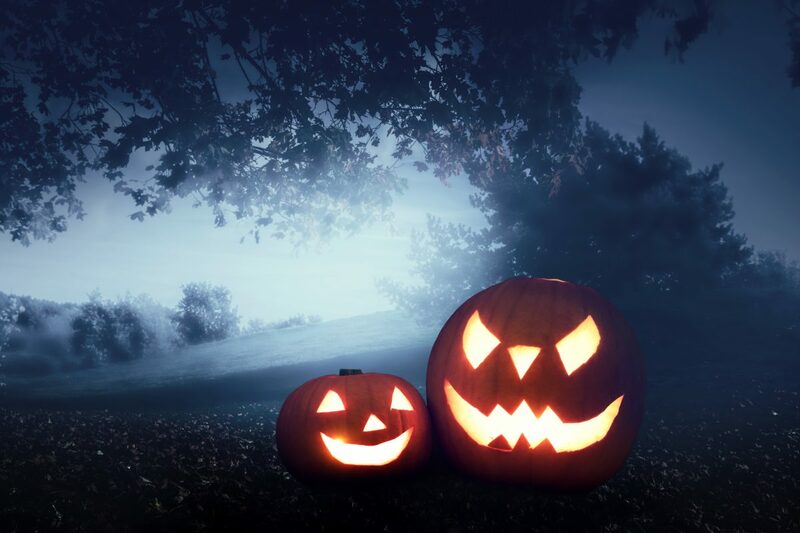 Fear finally reminds ourselves not to take things to seriously, just as there is the theory that one of the reasons people dressed up for Halloween was to make light of death, the ultimate thing that we cannot change. Fear reminds us that we are fallible, that there is still a lot of things that we cannot do anything about. All we can do is be skilful in how we respond to them. Even if this means laughing at those things that await us all. So, when does fear become a problem? Like anything in our life too much of a good thing is not a good thing at all. If we let fear, become the ruler of us rather us working with it respectfully we really can become unstuck. People often don’t realist that in the classic flight or fight response that there is a third one, freeze. Just light a rabbit caught in the headlights fear can cause us to become stuck in a less than desirable situation. For fear is but a wake-up call, an alarm to awaken our own response and call us to action. If we let fear rule unchecked, it begins to dominate our thoughts and feelings causing us to become stuck. If rather than weighing up the risks and taking precautionary steps, we simply give up then we achieve nothing. Our minds just like our muscles need to be stretched to strengthen and grow. By giving up and sticking with the comfortable we are cheating ourselves of our full potential. As attributed to Socrates, the unexamined life really is not worth living. For to my mind a life ruled by fear is no life at all. The most damaging types of fears I come across are phobias. These are clients who have typically experienced an initial incident that was fearful to them and which has stuck in their mind. Subsequent exposure to the stimulus ratchets up the fear each time. The stuck memory is now a learned response that takes the person to an ever-increasing place of fear that traps them in the fight, flight or freeze response thanks to the recurring nightmare that they’ve unwittingly created. Clients with phobias often suffer for years living impacted lives before they can pluck up the courage to finally seek the assistance that they need due to the accompanying fear of change, embarrassment and helplessness they often feel. Using techniques from the world of Hypnosis and Neuro Linguistic Programming; my main role with fear is to establish the event that caused it in the first place and release the emotion around it allowing the person to finally move beyond the memory that keeps pulling them back to the fear filled place. Once this is done I can help you mentally rehearse and programme in a new way of responding when confronted with the stimulus in the future. Finally, the overall work is fired up with positive hypnotic suggestions boosting confidence and belief in the new way of being. So, there you have, three ways of looking at fear! In Summary I would always say the answer to fear is Courage. Whether that fear is good, bad or ugly a small act of bravery can help you take the first step in changing your life. If fear of any description is causing a problem in your life, why not take your own small of bravery and give me a call? We can discuss without obligation the issues that you’re experiencing, and I can come up with a plan for moving you forward. I promise I’m not scary in any way!